The TorZo story began in the 1980s, when Specialty Polymers founder Ray Southwell was approached to develop a low-maintenance boat deck coating that could withstand the harsh marine environment of the Pacific Northwest. 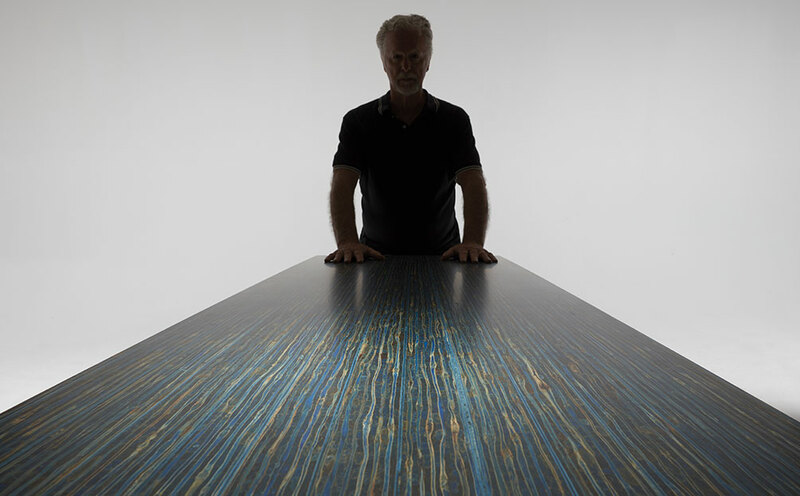 What Ray envisioned was even better than a coating—he foresaw a wood product infused with a custom-designed, water-based acrylic resin that would be as versatile and easy-to-use as wood, but as resistant to the elements as plastic. In 2004, after years of research and development, Specialty Polymers launched an acrylic-infused wood product under the name WoodSure™. By 2007, the sustainable community was clamoring for green materials that could be used in the building industry. Specialty Polymers responded and began applying its polymer infusion technology to a wide range of sustainable composite boards made of recycled or reclaimed timber and agricultural by-products. TorZo Surfaces officially launched in 2008 introducing a unique and stunning line of sustainable interior surfacing materials. Today, WoodSure™ continues to process solid wood materials for use primarily by artists and craftsmen. Over two decades of innovation and evolution, TorZo Surfaces is now a leading manufacturer of LEED-quality interior architectural coverings made with sustainable and renewable substrates. Ray’s family continues to lead TorZo Surfaces into the future—envisioning and innovating the materials of tomorrow for the architectural designers of today. TorZo Surfaces is a division of family-owned and operated Specialty Polymers, Inc.
TorZo Surfaces has an extensive distribution network with distributors and sales agents located throughout the United States. Please use our rep locator tool to find a sales representative near you. Sales groups are invited to request a TorZo Surfaces sample kit. We’re always looking to expand our distribution network. If you have a passion for unique, beautiful, sustainable building materials, let’s chat! All TorZo products are manufactured at Specialty Polymers’ headquarters in Woodburn, Oregon.